"We call it coffee going round," said Agus, tugging a pair of yellow scissors from the handlebars of his bicycle. 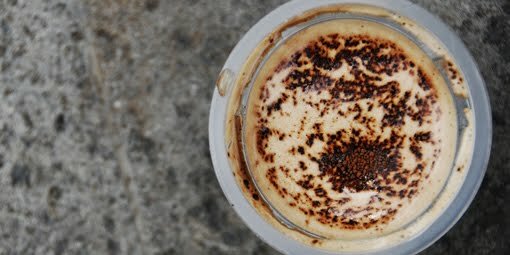 "Kopi keliling." 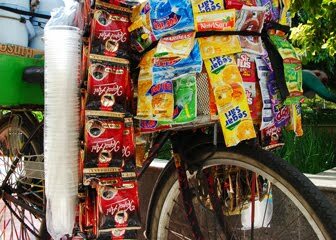 The handlebars of Agus's bicycle are colourfully bedecked with drink sachets. The bicycle basket at the front spills over with fruit flavoured fizz sachets for kids. 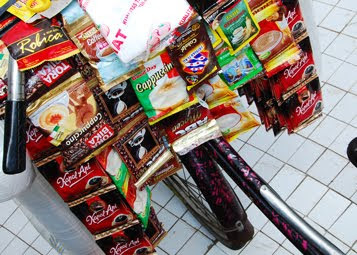 And dangling from the inside of the handlebars are the caffeine and mens health sackets: "For adults," Agus explains. At the rear, lashed over the mud guard, are two flasks of boiled water and a quiver of disposable plastic cups. 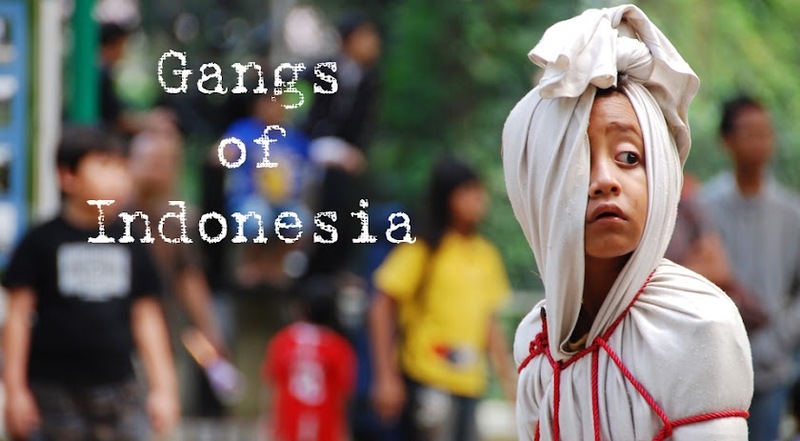 So it doesn't matter that there are no cafes in Menteng Park, Jakarta, because there are plenty of informal vendors smoking together in the shade just waiting to peddle you some factory bean. "The most expensive is Good Day Cappuccino," Agus says, snipping open the sachet and tapping the contents into a cup. 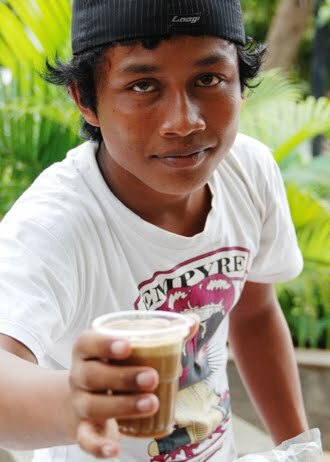 He doesn't ask whether I want the most expensive coffee. "Our prices are a little higher because...," -he hesitates- "...because this is Menteng Park." But it certainly wasn't a Bad Day Cappuccino.